In the world of video games, as in movies and books, sequels sometimes fail to live up to the promise of their predecessors. Not so with Half-Life 2, the follow-up to Half-Life from Valve Software. 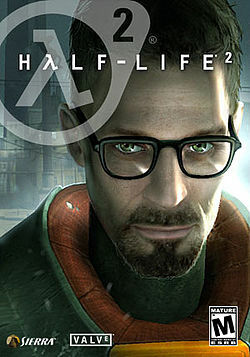 Recipient of 39 Game of the Year awards in 2004, and named the Game of the Decade at the 2012 Spike Video Game Awards, Half-Life 2 joins its ancestor in being regarded as among the greatest video games of all time. Marc Laidlaw worked on story and level design for Half-Life 2, just as he had with Half-Life and all its expansions. The game takes place years after the events of the original, when Dr. Gordon Freeman is awakened to find that the world has been taken over by the alien Combine. He must join forces with a variety of characters, and utilize a host of game-changing weapons and tools, in order to free humanity.